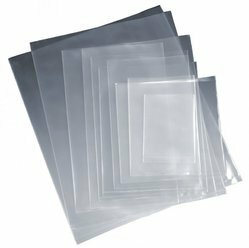 We manufacture Both Plain and Printed Polybags mainly used for outer Protection. With the help of advance technology and machinery, we are manufacturing printed polybags ranging from single colour up to 10 colours. Backed by a rich industrial experience, we have come up with a world class assortment of LD Poly Bags. We hold expertise in offering a precisely designed range of Low Density Poly Bag. Our range of HMHD / LLDP bags are made from high quality polymers. These bags are strong and long lasting. These bags are manufactured in a variety of shapes and sizes. They are durable enough to carry heavy items. These HMHD / LLDP bags come with strong handles to move them easily from one to another. M/s Kayson Polylam Pvt. Ltd.